The round trip to Penang in Malaysia from Istanbul takes about 22 hours. That’s pretty much a day spent on the road and is quite taxing on the body I must say. Within 2 short days I managed to traverse over 15oookm (!) and that without even a moment’s rest for sightseeing unfortunately. So, pretty uninteresting aside from the fact that the manufacturing facility I visited along with our clients was amazing. 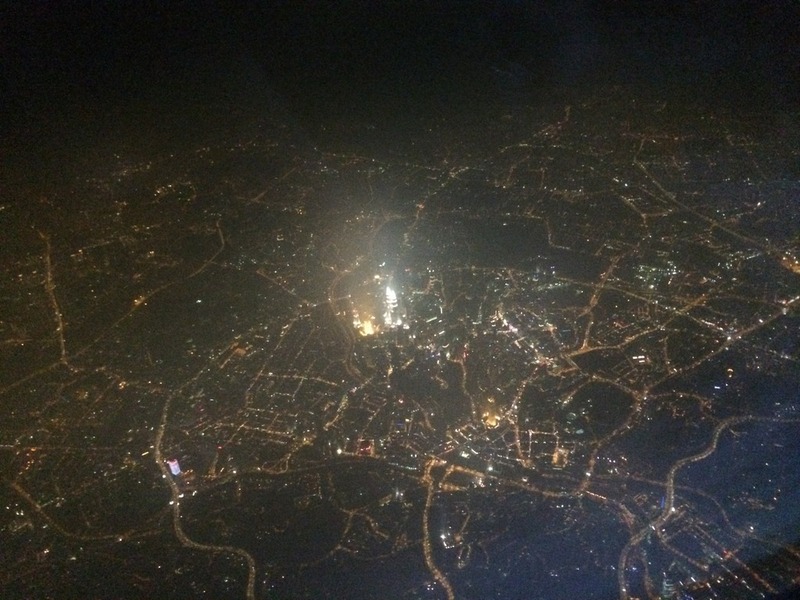 Sadly the only pic I got of the Petronas Towers… on my flight back home. Till next time then! 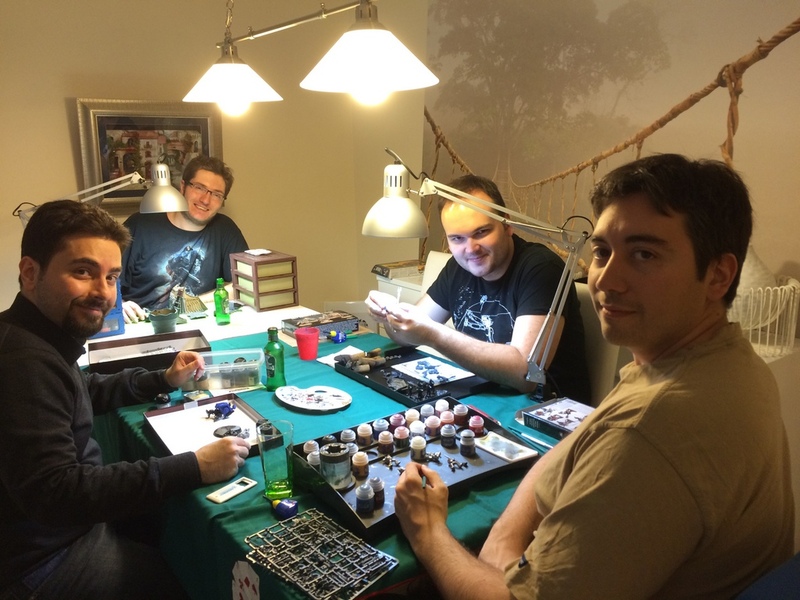 Last weekend we had another get-together with my pals from high school and this was quite a gathering of WH40k nerds. Necron, Space Marine and Grey Knights players along with myself had a good time painting, sharing techniques and obviously having fun. One thing I see however is that this is a little counterproductive for good progress on models as meetings tend to be sidetracked into other activities like board games. All in all, good times. Lots of sprues, good lighting, paint and camaraderie. The stuff of legend. Alright, let’s start with the WIP progress. Nothing too exciting here. I am slowly fleshing out the colors I want on the piece and decided to go with a green cloak. Started out dark with Caliban Green and it took me some time to get the correct coverage. It seems the paint does have less coverage than I remember. As it’s pretty uninteresting at this point, I have no pictures. Let’s look forward to next time’s session. 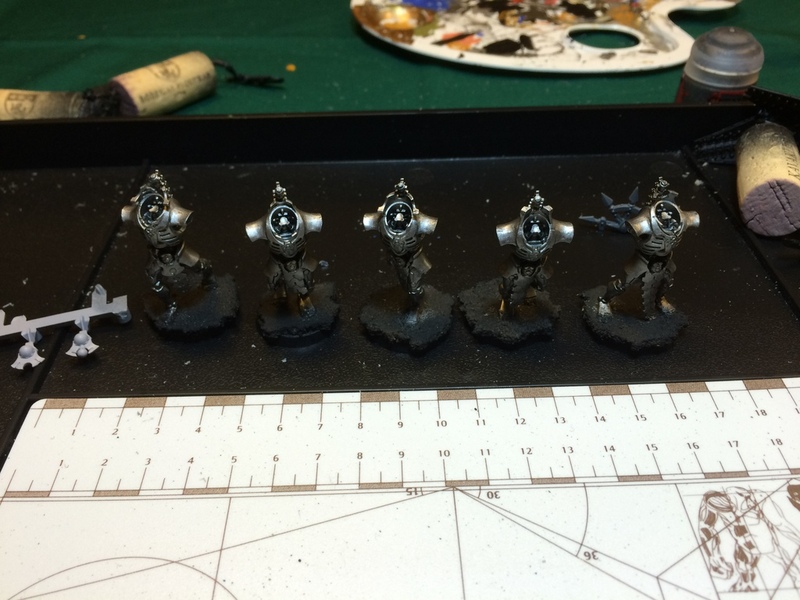 Primed black, drybrushed Eshin Grey (heavy), Dawnstone (medium) and Celestra Grey (light) for a dusty effect. Starting with brown and green shades of Agrax Earthshade and Coelia Greenshade. Not the effect I sought – I guess the cork drained most of the paint. Come to think of it I was quite generous with the paint. It looked great while wet. Finished product the next morning, fully dried. Not as goopy as I expected. Again, not a huge progress here – just basecoated the metals with Leadbelcher. However it gave me some perspective as I now see it makes sense to finish the model entirely and then work dirtily on the base. That should give the model the appearance of trudging through sand (looking for a yellow desert theme here) and not look unreal like what I did on the Dreadknight. This should have some more updates for next time in order to deliver the late gift to the owner. Whoa! Where did that come from? 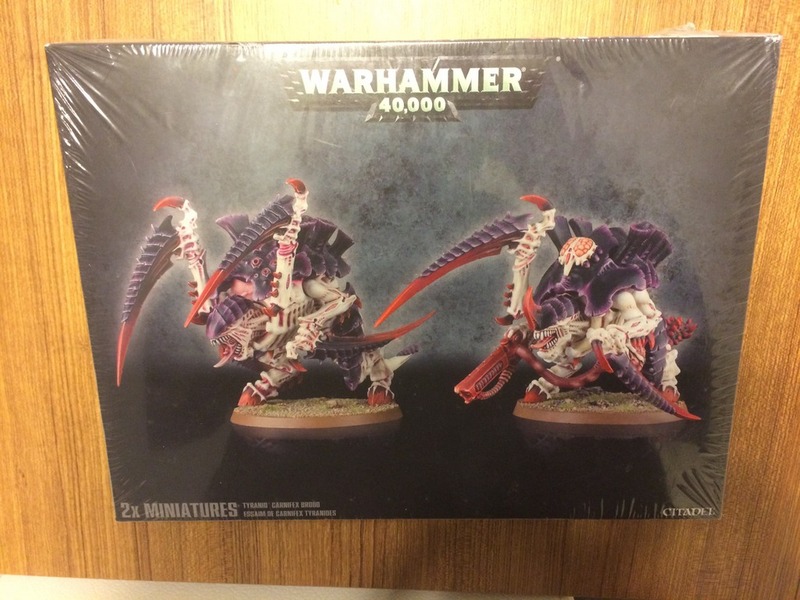 It’s part of the last shopping I did with the Oversoul sale and I was actually looking forward to having a good model to present in the coming competitions… because there’s no way I can finish the other project I was planning for at good painting standards. Let’s root for next year for that piece. 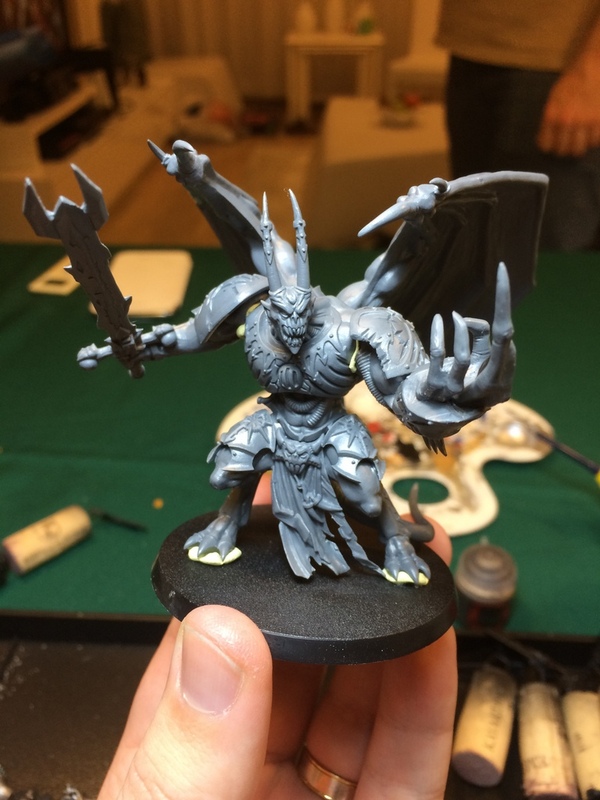 Back to the Daemon Prince… a very straightforward kit with manageable amounts of mould lines, it was easy to put the pieces together and prepare for primer. I found that attaching the torso with the legs as well as the wings and armor plates works well as the wide legged stance and the sheer size of the model is enough to work around with the brush. Obviously I left out the head and the arms for painting. 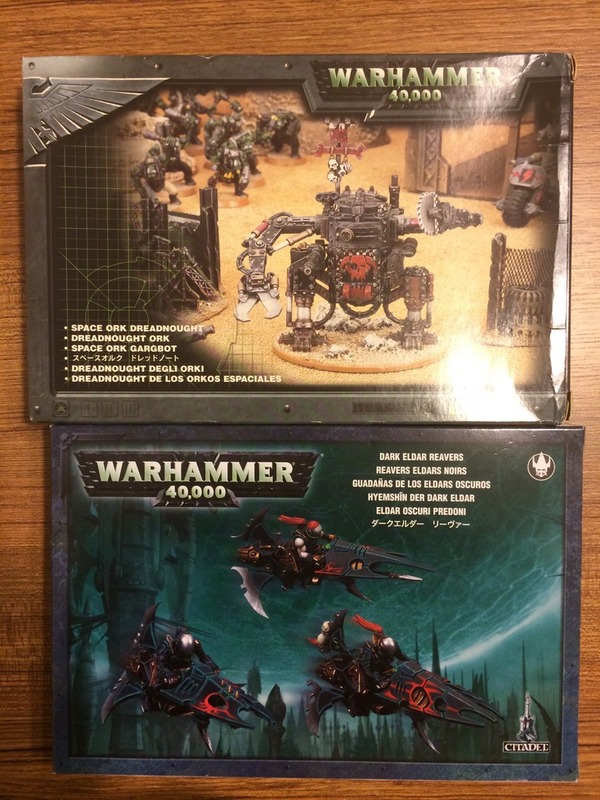 It was a tough call to pick between WHFB or WH40k princes but in the end I opted for the 40k variant. I’m planning something very special for the base. Lots of OSL. Hopefully. He looks like he’s flipping off… right? Another surprise here. 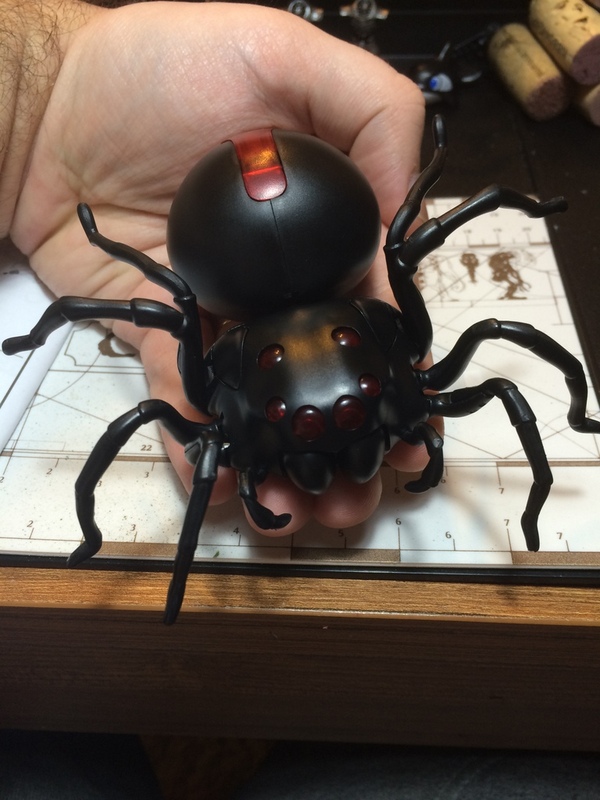 I’m showing the finished version as this is not really a kit that can be painted but would work quite nice as a prank item. Finished this quite recently in about an hour, very straightforward. Watch this space for a review incoming. Right! With WIP progress done let’s take a look at the goodies I received from the ridiculous sale by Oversoul. As the cover page suggests there’s a LOT of kits, so here’s the tally of items. 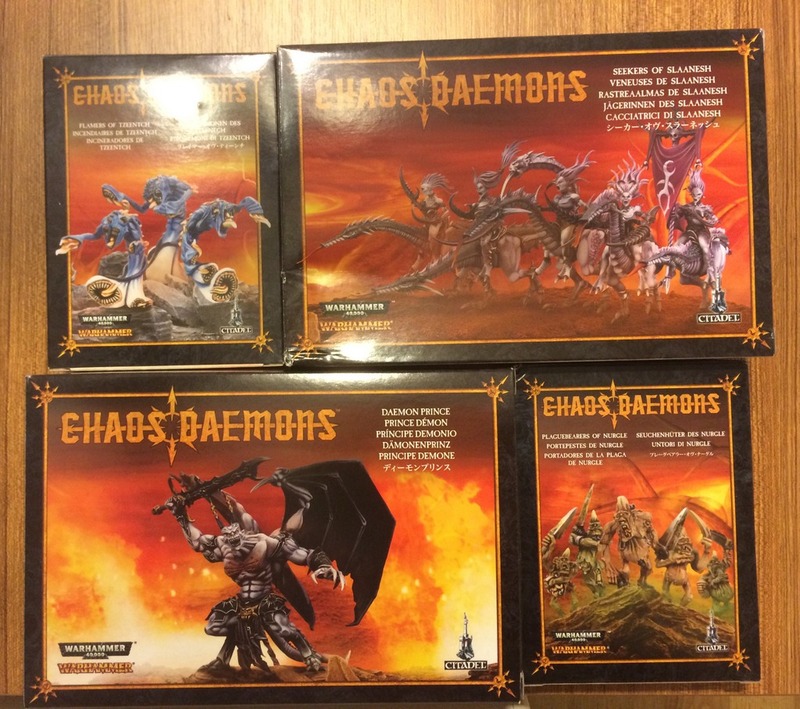 No surprise here, always in the mood to have some daemons in stock! Now I have some classic Tallymen as well as Tzeentch and Slaanesh units! The prince I’m planning out as either Tzeentch or Slaanesh aligned. A couple of Carnifexes. Another bargain at half price, something to go along with the Trygon in progress. Old metal Ork Dreadnought and a plastic box of Dark Eldar Reavers. Two super-heavy tanks, the old models of Baneblade and Shadowsword. This was a great bargain at half the price almost and was a no-brainer. I’m planning the Baneblade for my Chaos army (corrupted or renegade) and the other will be Imperial for display. Now I need to figure out where to display them! Quite a bargain here. 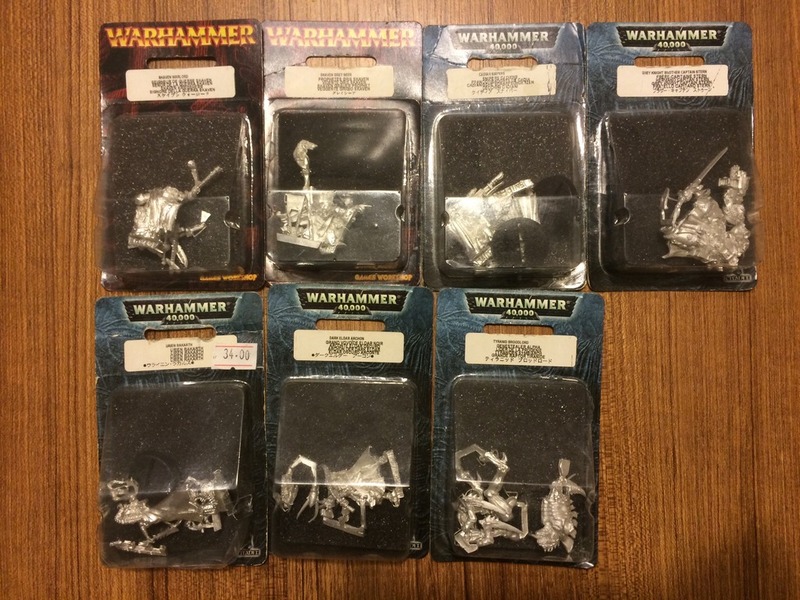 Got the Skaven Grey Seer, Skaven Warlord, a couple of Cadian Snipers, Captain Stern of the Grey Knights, Urien Rakarth, the older Dark Eldar Archon and a classic Tyranid Broodlord. I picked up as many as I could. They’re hard to find metal models at $7 a piece! Also branched out a little to use store credit I accumulated at Oversoul. I ordered some German army units as well as a starter set for Bolt Action which I hear is also very cool in the 28mm scale miniature and game-wise. Coming from German schooling I guess I am a little subjective in my army choice! A whopping 60 piece (almost) order altogether. This will be interesting. 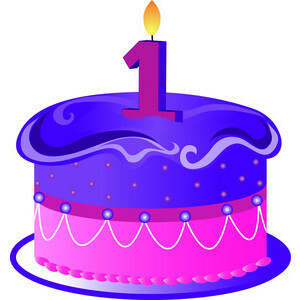 Finally, a pretty important milestone for me and the Workshop – the blog is now 1-year-old! Well technically the birthday was last Thursday but it’s fitting to celebrate this with more content if possible, right? Here’s to many years on the web with my dear viewers and followers, a heartfelt thank you to all who made this possible. Special mention goes to my wife of course, who copes with the clutter and supports me throughout the journey! The cake of course is a lie. And hurray for the Workshop’s birthday, here is your complementary Necron Cake! My goodness, I didn’t think that was possible but I guess anything goes with the internet these days! You’re right about Relic, it’s just so much fun. Will be even more ridiculous after the arrival of Nemesis! Space Hulk is underway, yes. However I need to prioritize some projects now… especially now that the competitions are upcoming and birthdays are due… let’s see if I can manage all the mess before burning out! Lots of great work here roemer! On the nurgle rot, you have to plop it on a bit more. I’m wondering if the porous nature of the cork sucked some of it. I’d get some test bits and practice some more with it until you get the look you want! The lychguard already look pretty awesome! Yes, I suspect as much. Will cake the base a little more with the goop… there’s still plenty of paint in the pot and only the Tallymen and Nurglings would really benefit from this. 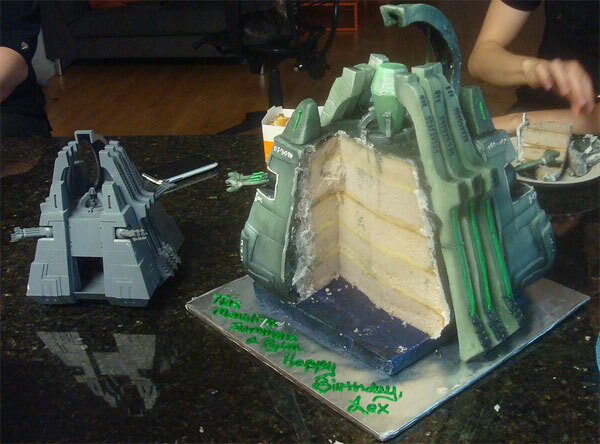 That necron cake is AWESOME! Congratulations with the blog! One year in and things are going wonderfully! You have frequent posts and you are working on all sorts of cool projects. Great to see painting is still progressing. The base (s) for the nurglings are coming along nicely. I think the subtle use of Nurgle’s rot works well. The lychguard are also looking really nice; what a fine gift! Good luck wading through all of your new models from Oversoul. Lots of neat stuff there! Two super heavy tanks! Thanks Adam! I make the best of the time I can spend on the hobby and if it’s entertaining for my audience then it pleases me to no end. Oversoul stock scares me a lot. So many minis… so little time. I love reading your blog, because it gives me so much inspiration – if it wasn’t so late, I’d totally be starting to build something right now!! At any rate, seeing your Daemon Prince has got me wanting to do another – it was the third model I ever painted (http://spalanz.com/2014/08/17/painting3b/), but I feel the need for another! And I really want something besides Necrons and Ogres to use this new Martian Ironearth paint on!! Thanks for all you’ve posted, looking forward to lots more in the future! Thanks man, it’s good to be still kicking after all the parallel projects! I’m surprised that my slow progress towards actually FINISHING a model is inspiring at all, I thank you for your kind words. I’m leaning towards a similar approach as you Daemon Prince – there will be lava, but another visual tweak on the base itself that will reflect the nature of chaos. If I can pull it off that is. Oh, you’re definitely an inspiration, sir! I actually started to paint my Space Hulk minis – not on any real scale, I’ve painted some metal decking and some piles of skulls on the genestealer bases, but still! Seriously, good luck with it all, and I’m looking forward to seeing what’s next – particularly that Daemon Prince! Thank you kindly. Some progress is better than no progress, so I’m glad you’re getting stuff done on your Space Hulk minis! You know what, just as you talk about what will happen with the Daemon Prince I’m thinking of a feature in the blog. I might just pull this off. Watch this space!